This ball belongs to a wonderful club run by Sani Pollux. He is a perfect example of a person who manages to do so much with so little. He has devoted his life to training kids from the street; so far about 150 boys have passed through his club, many of them very talented. When I first met Sani, I spent the afternoon photographing the footballs they use to train. 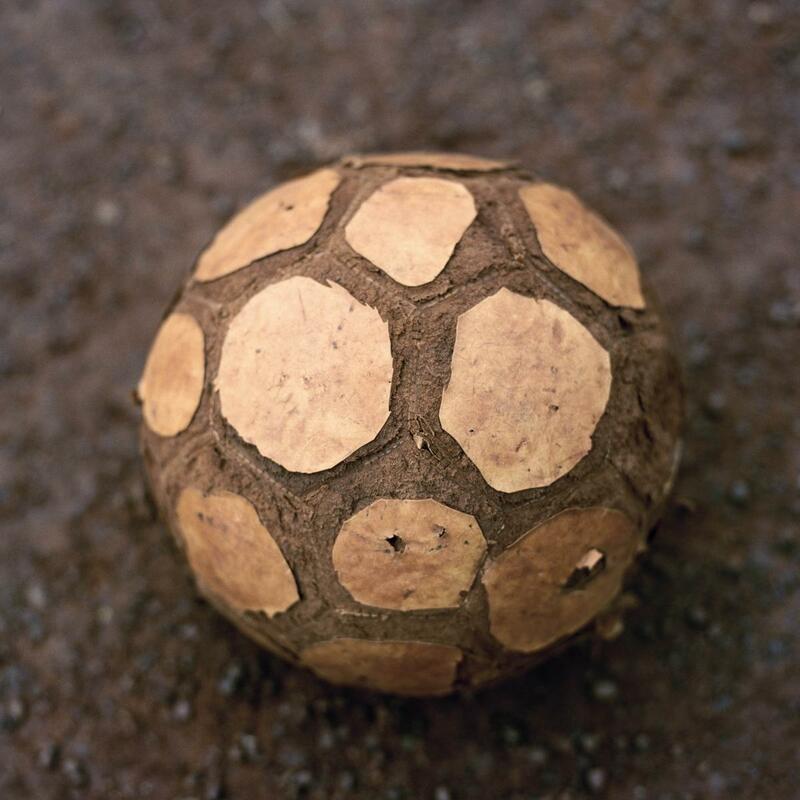 Each ball was unique, worn down in its own way. Each ball was hanging onto life for the sake of this little club. It was then that I realised that there were two ways of looking at these balls. Either you pitied them, and thought how terrible it was that people have nothing better to play with. Or you looked at them as positive proof of the strength of the human spirit. There are many different techniques for making balls, and they depend primarily on the locally available materials. This ball plays like a real football. It’s perfectly round and bounces. This is because in the centre is an inflated condom which is then wrapped with plastic bags or old fabric to protect it from punctures. Then many metres of yarn are wound around it. It has a life span of about three days before it deflates. I know little about this ball. 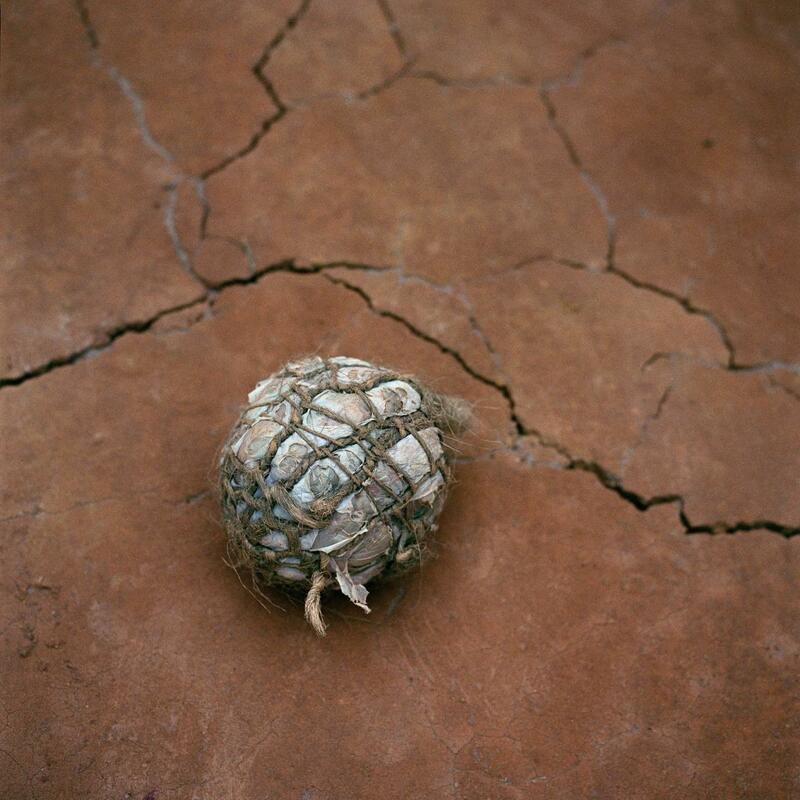 It is one of the many balls I photographed in Madagascar before I started working with balls more systematically. 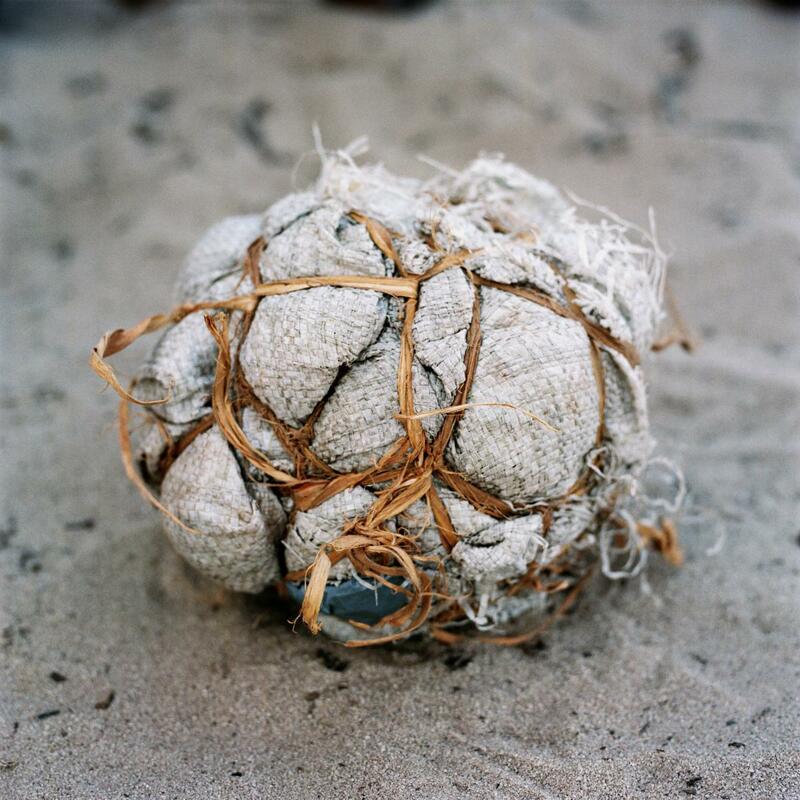 This image led me to the idea of AMEN — Grassroots Football, a book made in collaboration with my father. This is a ball made by a mother for her son. She told me that she stuffed the inside with whatever she could find and wrapped the outside with an old stocking. Chicome is a little village far from everything. There is no road leading there, just sandy trails through the bush. The village has no running water or electricity, and life there revolves around farming and football. Every day at 4pm the boys gather on the pitch where, thanks to a ball, life is magically transformed for an hour or so. Every young boy in this village has his own handmade football. 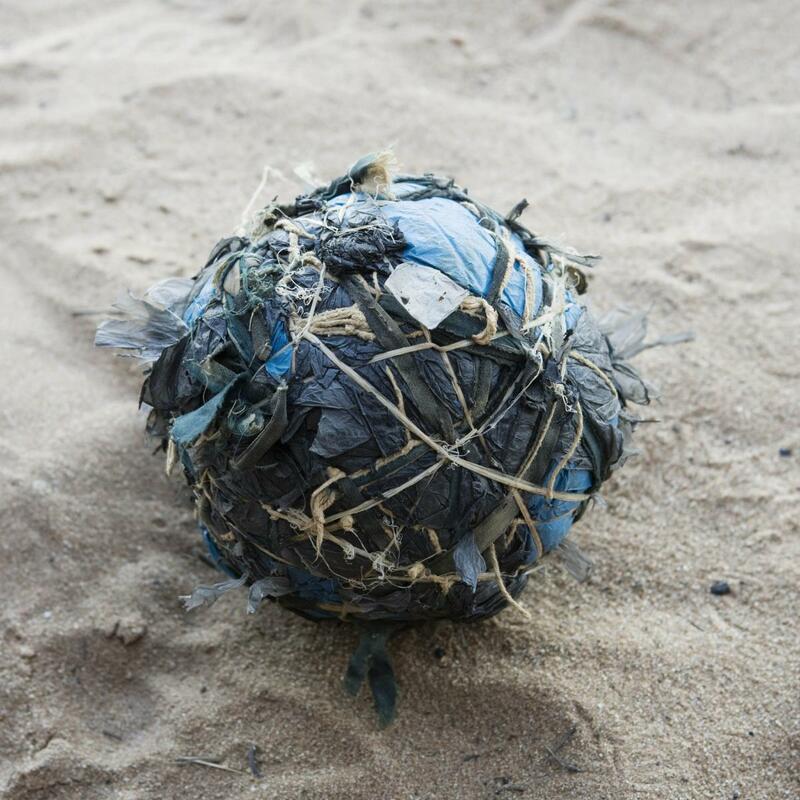 As there are no shops in the village, there is very little rubbish, so children make footballs out of whatever materials they can find. 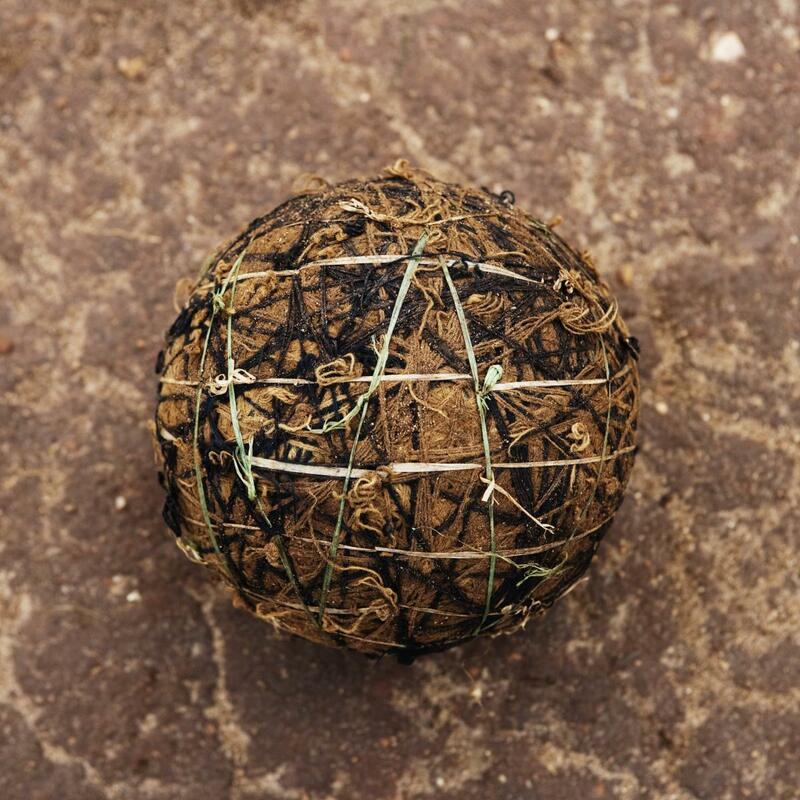 This ball is made from an old rice bag and seedling bag bound together. Sometimes they even play matches against neighbouring villages. This takes three days: one day to walk the 25km (15.5 mi.) to the match, one day to play, and one day to walk back. 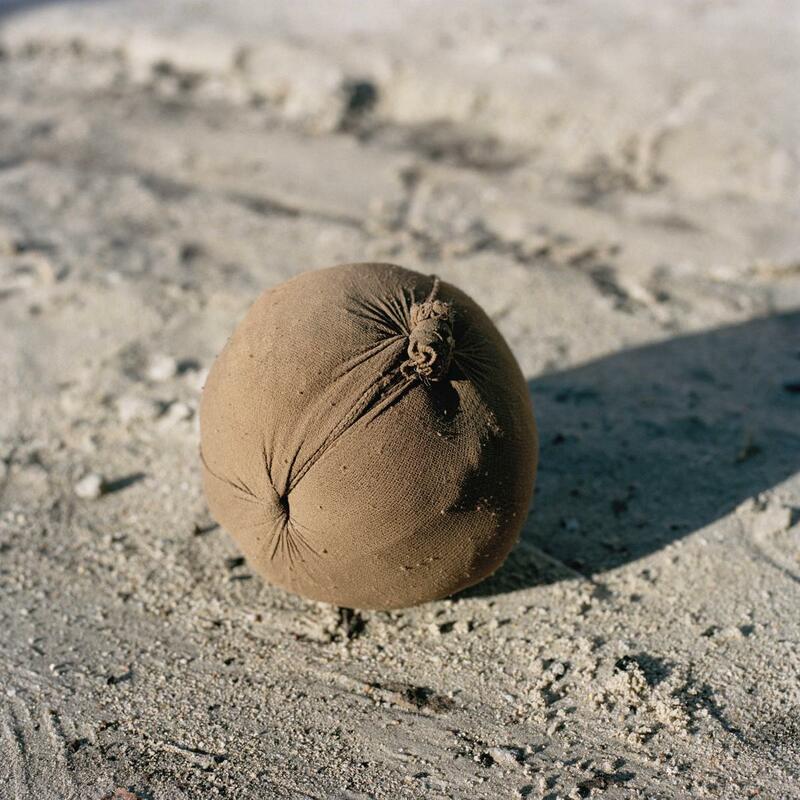 Jessica Hilltout, a nomadic, Belgian-born photographer, loaded sacks of deflated soccer balls onto the roof of a 1976 Volkswagen Beetle and began a seven-month road trip across Africa to document the continent’s love of the game.